The cpsizeme is a lightweight shell script that produces a detailed performance report of Check Point Security Gateway. This script measures the ongoing resource utilization on Security Gateway during the given time period (refer to "Running cpsizeme" section). During this period, the script gathers information about CPU, memory consumption, throughput and few other important performance parameters. Replacing the current Security Gateway appliance/server with a new one. Future growth and planning ahead. Enabling more security Software Blades on the current Security Gateway. This script allows to automatically upload the collected raw performance data securely to Check Point servers. If an e-mail address was provided, then after getting the raw performance data, a PDF report will be sent to that e-mail address. It is possible to upload the raw data to Check Point and e-mail the report at any time, even after running the script (refer to "Running cpsizeme" section). Summary archive file - includes the Security Gateway's performance statistics of traffic, CPU, memory utilization, and an XML file to be used for sizing. This archive does not include connection data or IP addresses. In order to see the information stored in the summary archive file, run 'cpsizeme -S' command and select option 2 'Show summary of last successful session' in the menu. Detailed archive file - includes all the raw performance data used for analysis and statistics, including connections and routing tables with IP addresses. The detailed archive can be used for performance troubleshooting. PDF Performance Report - a graphical report, which is based on the summary archive file. This report is being generated and e-mailed to you, using the cpsizeme Online Report Service (see sample report). In ClusterXL High Availability mode, it is not supported to run this script on Standby member. The cpsizeme script is part of main-train Firewall version. DCdownloader should be updated to the latest recommended version to be able to update cpsizeme automatically. All of the online customers should have the newest public DA. The offline customers should refer to sk92449 to update/install new version of DA agent. 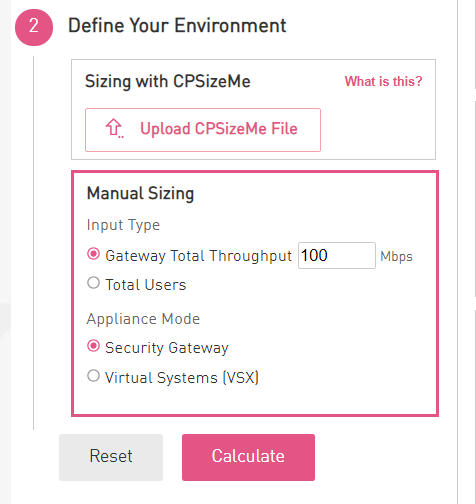 cpsizeme must be updated to use CPInfo for data upload instead of deprecated cp_uploader. After update of DCdownloader, cpsizeme can update itself to the latest version. The CPInfo utility must be updated to the latest recommended version to be able to upload data collected by cpsizeme. Note: if you have a problem with downloading the tool using Chrome browser, refer to sk76080. Copy the cpsizeme package to a directory on Security Gateway (e.g., /var/log/). Download and install the latest version of CPInfo utility from The CPInfo utility. By default, the script will run for 24 hours. Note: cpsizeme should be run for at least 3 minutes for proper functionality. where X designates the new options (duration, proxy, etc.) to be used in the new process. The previous options aren't valid for the new process. Then choose option #2 ('Start a new session'). Previous process will be terminated and a new one will be started. Then choose option #3 ('Delete current session and exit') that will terminate the running process. It is strongly recommended to run the latest version of the cpsizeme script. On some Security Gateway versions, the cpsizeme script will allow to check for updates and to update the script. It is recommended to choose this option when available. Refer to the instructions in "Installing cpsizeme" section. A valid license must be installed on the Security Gateway (to allow uploading to Check Point servers). To allow connectivity to Check Point servers, refer to the 'System Requirements' section in sk92739 - The CPInfo utility. Offline upload procedure - If the Security Gateway does not have connectivity to Check Point servers, you can upload the data via e-mail. And select option 5 'Show location of generated files'. Transfer the cpsizeme output XML file from the Security Gateway to your computer. Attach the cpsizeme output XML file to an e-mail. You will receive an e-mail from sizing@checkpoint.com with attached PDF report within 1 hour (see sample report). In the 'Sizing with CPSizeMe' section at the bottom, click 'Upload CPSizeMe File'. Select the XML file and click on 'Upload'. Immediately the information from the XML file will be fetched in the AST upper left column. Review the automatically completed information in the AST. Adjust characteristics as needed, such as activating additional Software Blades, for example. - If the gateway passes traffic also to the Internet, select the checkbox near the Internet Connection field and note how many traffic to be send "outside",through the gateway. This portion of traffic has the direct impact on the selected blades like IPS, Application Control etc. Refer to "Uploading cpsizeme results to Check Point" section. If you need to use a proxy server to connect to the above sites, use the proxy method of cpsizeme. If a proxy needs to be configured, configure it through OS WebUI. In case you run R76 or earlier version, verify that you have the latest build of CPUSE Agent per sk92449: CPUSE - Gaia Software Updates (including Gaia Software Updates Agent) - section "(3) Latest build of CPUSE and What's New".